relax & enjoy the soulful sounds of Kenyatta Rashon! 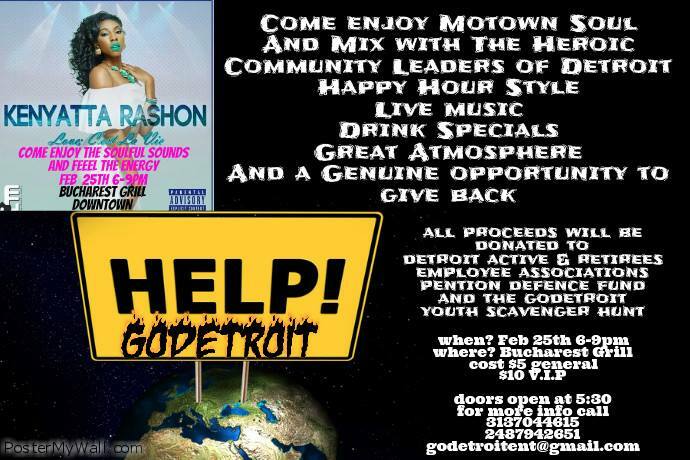 mix & mingle with Detroit’s heroic community leaders! all proceeds will be donated to the Detroit Active and Retired Employee Association (DAREA)’s Pension Defense Fund and the GoDetroit Youth Scavenger Hunt.